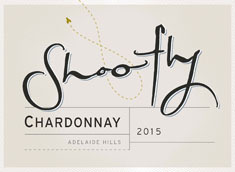 Shoofly Chardonnay is crafted with a patience, using carefully ripened fruit with just a touch of oak. Typical Adelaide Hills characters of guava and ripe grapefruit are supported by hints of hazenut and brioche. Juicy citrus and white peach flavors lead on the youthful palate which will develop more complexity over the next three years.